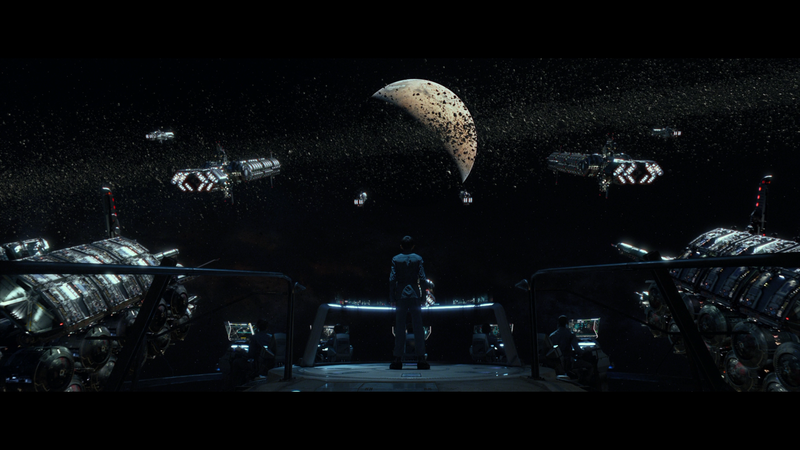 Ender’s Game is a perfectly entertaining yet safe sci-fi action/thriller. Asa Butterfield is splendid in his follow-up to his breakout role in Hugo. That said, the rest of the movie borders on mediocrity and only saved due to some impressive visual effects and a story that was compelling enough to keep one’s attention until the end. Is this a day 1 purchase? Not quite, but might be worth checking out via Rental or Digital Download. Note: This review contains spoilers about the plot, so proceed with caution. I’ve said this before in other reviews, but novels aimed at the teen demographic are hot properties in Hollywood as evidenced by numerous attempts to capture the same magic along the lines of the Twilight Saga and The Hunger Games, both of which were and are box office mega-blockbusters. However, the wannabes have become numerous between Percy Jackson and The Adventurer: The Curse of the Midas Box, the latter didn’t even get a theatrical release. Now we get a $110 million budgeted sci-fi adventure-drama in the form of Ender’s Game based on Orson Scott Card’s best-selling novel. Unfortunately for the studio, the reviews, as well as the box office receipts, were lackluster with fans disappointed by the adaptation and those who hadn’t read the book, blasé about it. And as someone who not only never read it but never even heard of the novel, I felt indifferent towards the film. 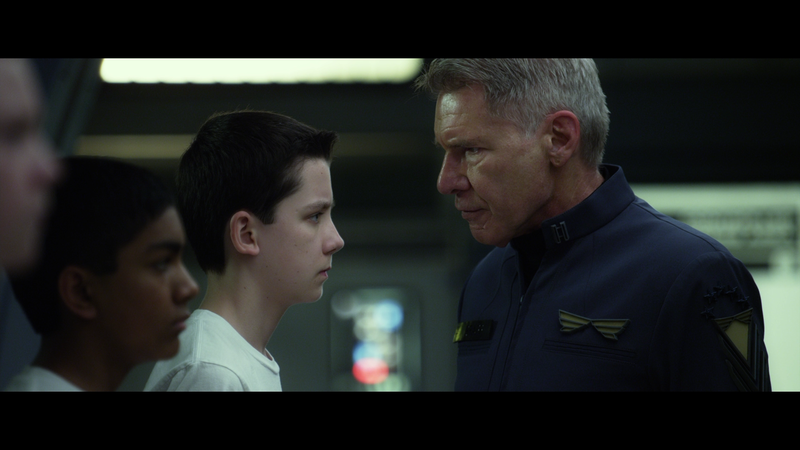 The story focuses on teen prodigy Ender Wiggin (ASA BUTTERFIELD) who is tapped by Colonel Hyrum Graff (HARRISON FORD) as the last hope to annihilate a species known as the Formics who 50 years earlier attempted to colonize Earth but were defeated thanks to the heroics of one flight commander very much in the same fashion in Independence Day. 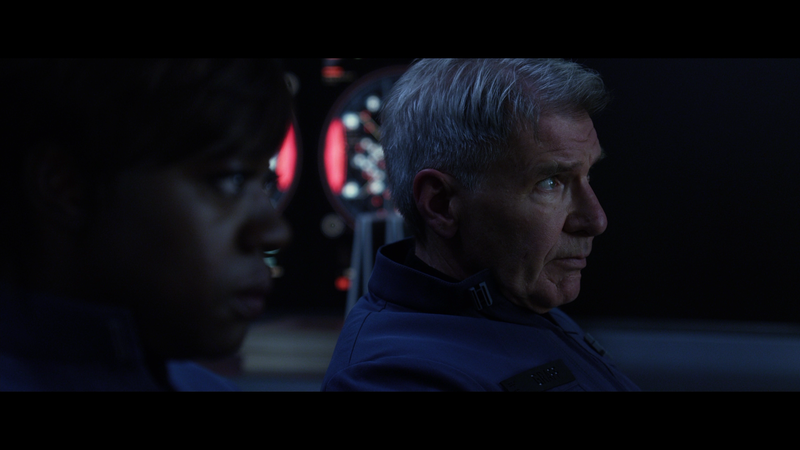 Ender makes it through military school and beats down a bully who only impresses Graff even more while military psychologist Major Gwen Anderson (VIOLA DAVIS) is concerned with Ender’s mental well-being and is concerned he’s not ready for advancement. Needless to say, Graff disregards her concerns and Ender advances to Battle School at a space station with other cadets. I should note that the movie does touch upon Ender’s complicated home life. See, apparently in this future families are only allowed two children but Ender happened and is seen in the family as the last chance to help humanity after elder son Peter washed out due to his out-of-control anger and his sister Valentine (ABIGAIL BRESLIN) was considered too emotional. This family dynamic does crop up throughout with focus on Valentine and is one of the few genuine emotional scenes in the film. With Ender now in space he gets acquainted with a gambit of other kids with special skills and soon enough, as he begins questioning the authority to Graff and boot camp yeller Dap (NONSO ANOZIE), the other start to follow his lead showing Ender’s natural leadership. Soon enough, Ender is promoted to the next level and join an elite group nicknamed the Salamanders and although he becomes quick friends with Petra Arkanian (HAILEE STEINFELD) but he also catches the ire of their team leader named Bonzo Madrid (MOISES ARIAS), of course with a name like Bonzo, you know he’s going to be a douche and proves as such. Ender’s Game is a movie with a great deal of potential and indeed has a few nice scenes but taking as a whole fails to get out of the “just good” zone where the acting is mostly fine, impressive visual effects and a semblance of a story and characters one can care about, and yet once it was over, I kind of had a shoulder shrug and moved on to the next movie or whatever TV show was on at the time. Now, on the positive front, Asa Butterfield was perfectly cast as a character who could’ve easily been an obnoxious little sh** and instead I was rooting for him to succeed even though there wasn’t anything in the screenplay where I thought he wouldn’t do so; Hailee Steinfeld is decent in a limited role as a pseudo love interest; Viola Davis unsurprisingly at this point is underutilizes and disappears halfway through never to be seen or heard from again; Abigail Breslin is good as Ender’s sister and provides a bit of emotional punch; Ben Kingsley has his usual cameo appearance and makes the most of it; and lastly Harrison Ford is, well, Harrison Ford barking his lines and yet gives the picture some much needed weight. The film was directed by Gavin Hood following a couple disappointing features (IMO) with the overwrought Rendition and the poorly received X-Men Origins: Wolverine however in the case of the latter, Hood shows a knack for doing good action and it shows in Ender’s Game and with the screenplay (which he adapted from Orson Scott Card’s best-selling novel) especially considering the limitations of jamming so much story in less than two hours, it’s impressive job he did, though the suspense could’ve been ratcheted it up some. In the end, Ender’s Game is one of those “good enough” flicks where it’s relatively harmless in its approach and yet the suspense doesn’t quite reach its potential heights. The VFX are good and Asa Butterfield in his second leading role (following Hugo) is really the highlight. If one were to ask me about it, I’d say it’s worth a Red Box or Netflix rental, but nothing more. This release comes with a glossy slip cover. Inside is a standard DVD Copy and a paper slip with a Digital Copy download code for either UltraViolet or iTunes. Audio Commentaries includes two tracks: 1) Director Gavin Hood and 2) Producers Gigi Pritzker and Roberto Orci. Each one of these offers different perspectives with Hood giving his take on how he got the job, working with the actors and his personal experience he brought to the project while the producers provide the business side of things of finally getting the movie off the ground and onto the big screen. Personally, I prefer Hood’s track because although he’s solo, he is also fascinating to listen to. Ender’s World: The Making of Ender’s Game (49:04; HD) – This 8-part documentary — “Journey to the Big Screen”, “Recruiting the Troops”, “Ender in Zero-G”, “Battle School Revealed”, “The Mind Game”, “Behind Enemy Lines” and “The Alien World” — covers each aspect of the production from script to filming with behind-the-scenes footage, casting and other aspects. Insights are offered by the director, producers and the cast. Deleted/Extended Scenes (10:49; HD) includes six scenes that were trimmed or completely excised. There is an optional commentary with Hood who explains why they were cut. 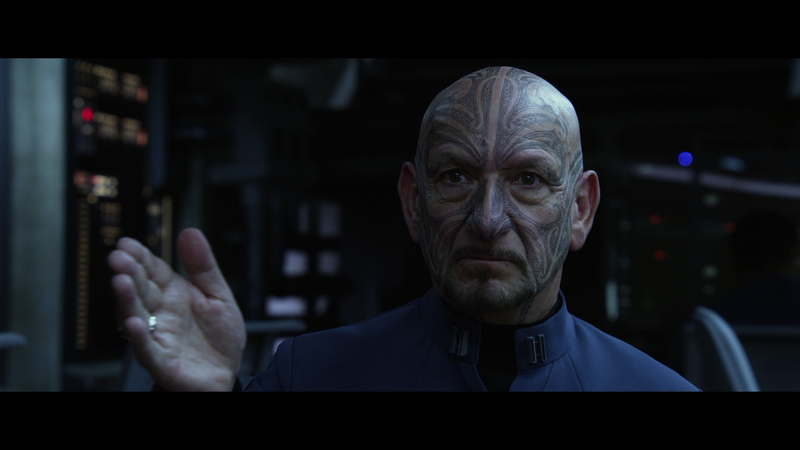 Inside the Mind Games (3:50; HD) is a visual effects breakdown on the virtual world shown in the movie. There are also two Theatrical Trailers (1:55, 1:57; HD) included. 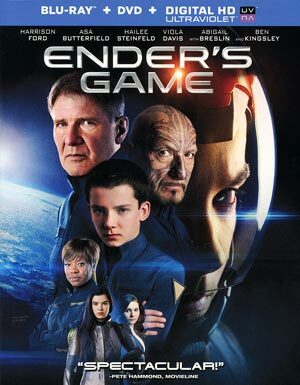 Summit Entertainment releases Ender’s Game on Blu-ray presented in its original 2.40 widescreen aspect ratio and a 1080p high-definition transfer (MPEG-4 AVC codec). The picture quality has sharp detail levels, colors appear to be well balanced and skin tones look pretty good and natural. Black levels also show to be stark with fine contrast and there are no obvious signs of artifacting or pixilation. The 7.1 DTS-HD Master Audio track shows off the various levels this movie has to offer from the quieter dialogue moments from the center channel to the action-packed sequences which take over each of the 7 channels while the LFE does kick in giving the track extra depth. Overall, Ender’s Game is a perfectly entertaining yet safe sci-fi action/thriller. Asa Butterfield is splendid in his follow-up to his breakout role in Hugo. That said, the rest of the movie borders on mediocrity and only saved due to some impressive visual effects and a story that was compelling enough to keep one’s attention until the end. Is this a day 1 purchase? Not quite, but might be worth checking out via Rental or Digital Download. The Blu-ray released by Summit offers up a good amount of bonus material and the audio/video transfers are both excellent.